When I was pregnant with my second I decided to invest in a new baby carrier. I had an awesome ring sling already, but just in case this baby wasn't a fan I wanted back up. Plus, I'd heard that there were some awesome front and back carriers out there. So, I bought myself an Ergo. 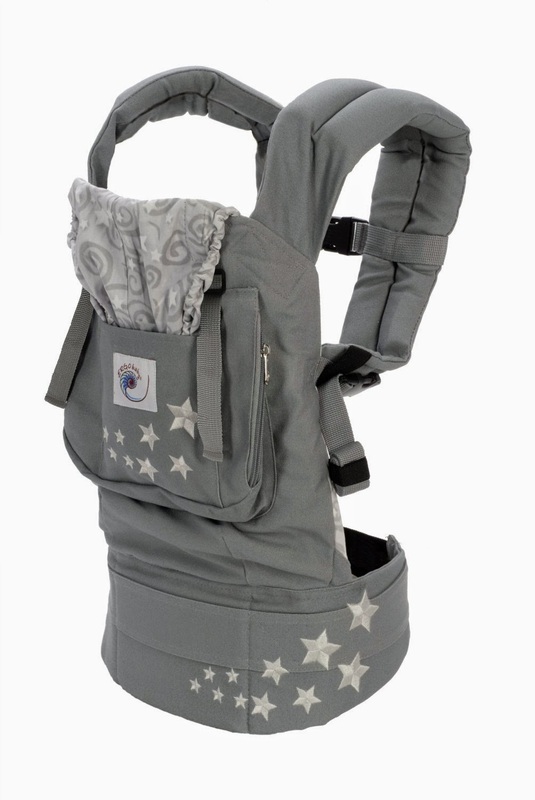 I didn't want a plain color, I wanted the pretty gray Ergo with the stars - the "Galaxy Grey." It felt like a huge splurge. Let me tell you, it was well worth it. Warrick lived in the Ergo. He was such a snuggly little baby. He was almost always in some baby carrier if he was awake. Here he is in the Ergo at 6 months old. His sister wasn't as avid a fan of the Ergo as Warrick had been, but because they were so close in age I was able to still carry him in it thereby allowing me to hold her facing out while still having one hand free! Eventually she grew accustomed to the Ergo, and so it was officially deemed a worth while investment. For the first couple months after our fourth was born I didn't use the Ergo. With no head support I knew I wasn't going to be able to capitalize on it until she was 3-5 months old. I had made another ring sling and I used that a lot. I put the Ergo in the car thinking I'd use it in the winter and kind of forgot about it. I forgot that the Ergo was on the floor. I forgot that my kids were walking back and forth all winter.. on the floor of the car. It didn't occur to me that their boots would trample the Ergo repeatedly. When I finally discovered the disheveled baby carrier in its dirty and rumpled condition I figured I'd wash it. Totally my fault, and totally fixable. I washed it. No luck. I washed it again. Still gross. I oxycleaned it. It looked exactly the same as it had before I'd washed it the first time. I didn't want to wear it, because it was so wretched looking. So, there it sat. I considered buying another one, because after all it had been used again and again and hadn't let me down. Then, I thought that perhaps I could dye it. I started googling to see if anyone else had dyed theirs. I found a couple people who had! 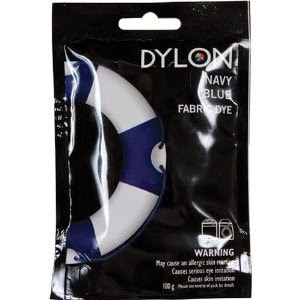 My friend suggested Dylon Dyes. I went to the store and picked up 3 packages. I decided on Navy. I followed all the instructions on the dye packet. It called for a LOT of salt to be used in addition to the dye. First, I had to wash the carrier, then I had to put it into the washing machine with the dye and all the salt. The carrier kept floating to the top, so at one point I had to put gloves on and hold it under the water. I didn't want to risk the dye turning out uneven. It also had to soak for an extra 30 minutes in addition to the regular wash cycle. In the end it dyed beautifully! After the dye cycle I had to wash it again to get all the residual dye out of the fabric (obviously dye isn't the safest thing for babies to be around). I have to say I was very pleased with the results. I didn't know the stars would hold their gray color, but because the embroidery was comprised of a fabric resistant to dye they stayed gray! I like it better this way. I think Lyriel likes it too! That turned out really well, I like it much better than the original. Thank you! I was pleasantly surprised. I love my Ergo and I didn't want to trash it just because it was dirty. I love it when repairs go well! This is great. It's a good way to give such a useful item a new life. Wow looks like a whole new carrier! Nice job! It turned out AWESOME! What a great suggestion esp since sometimes certain colors are on sale, so this way you can make it whatever color you want! That is FANTASTIC!! I like them both, but the way it turned out, I think I like the new color better! Looks very nice! I always wished I would have invested in an Ergo. I wanted the one with the stars too. It looks awesome! I like it even better than the original color! Haha!